Every year Capital Models donates money to a designated charity in lieu of printing and posting Christmas cards. By acting as a business providing packing of products and light mechanical and electrical assembly work to its customers. 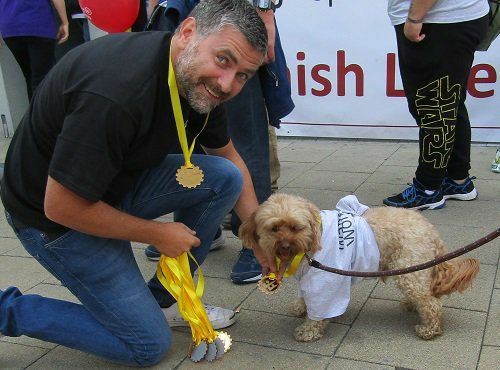 Being able to work helps disabled people to achieve greater independence and become more integrated into the community. Where possible all efforts are made to move them on to mainstream employment. We have been associated with Watford Workshop for a number of years supporting them in various ways. 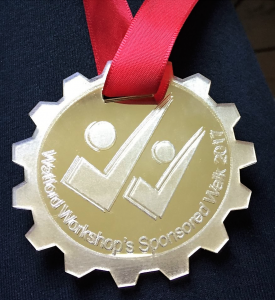 Earlier this year our newly created sister company Swordfish Works provided medals for the Workshop’s annual Sponsored Walk. We selected Watford Workshop as our 2017 Christmas charity as the funding they get from government bodies is due to be withdrawn in 2018, putting 21 disabled people – all of whom are keen to work and want to support themselves – at risk of being made redundant. The Workshop is a happy and inclusive place that delivers great work for its customers, taking on many tasks machines cannot handle. On a visit to the Workshop it would not be untypical for the dedicated workforce to be unpacking luxury pens and re-packing them in festive livery, putting stickers on to boxes, making chimney balloons or dealing with complex electrical assembly. A number of these tasks are performed whilst submitting the goods to stringent quality control. Many regular customers are so impressed by the quality of the work that they are confident for the packaged goods to go straight to major retailers.